Last month I shared my Traditional Thanksgiving tablescape. 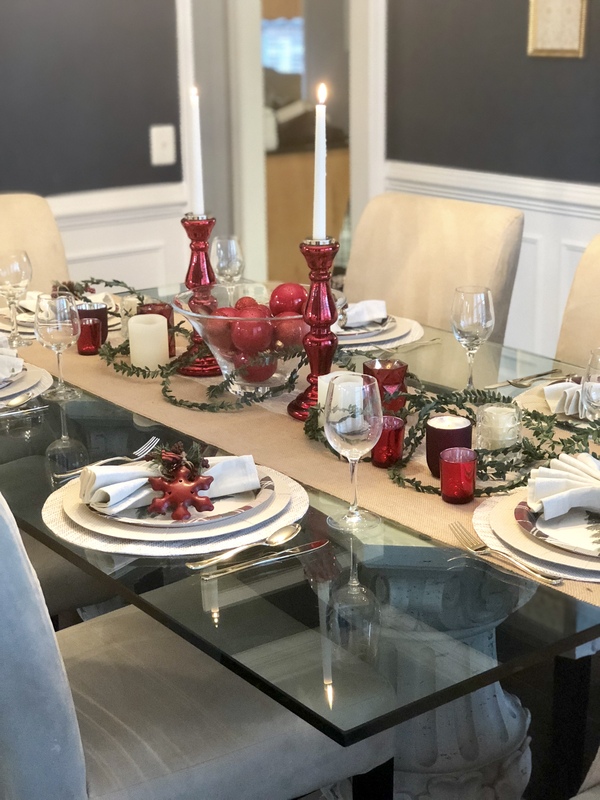 Today I’m welcoming you back into our dinning room and sharing another holiday table. Like a lot of people I love Christmas! It’s seriously my favorite time of the year! 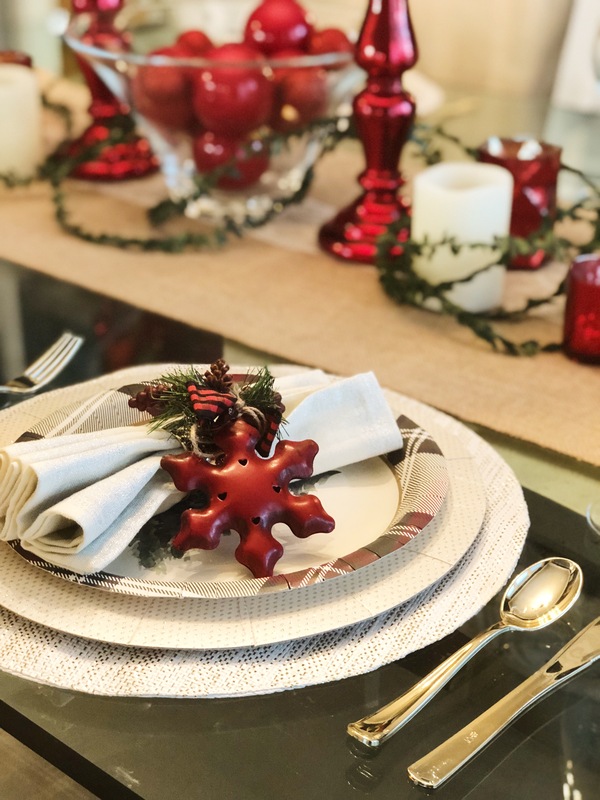 It’s also a very busy and hectic time, with shopping, decorating, and hosting family and friends. 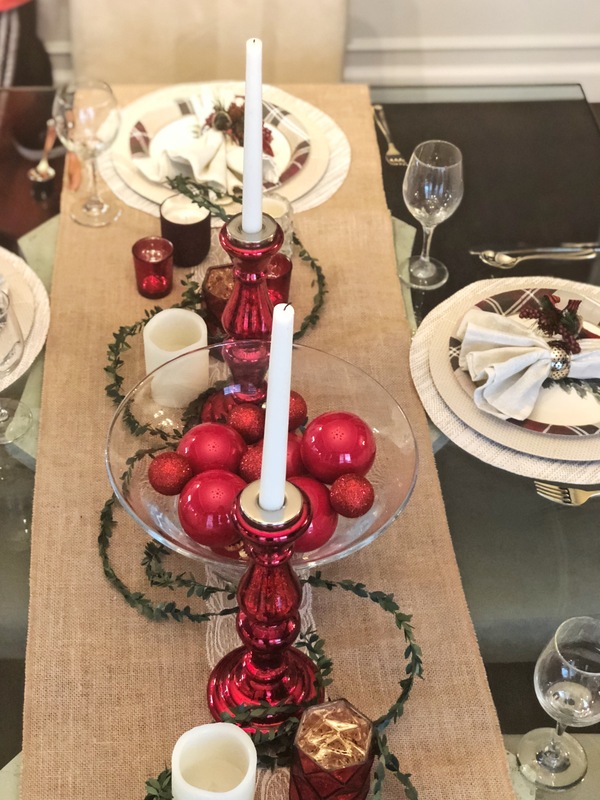 To make things a bit less stressful and more effortless, I created this table setting with disposable flatware, plates, and charger all that I found at Home Goods. This is a more efficient way to spend time together and minimizes the time spent cleaning afterwards. 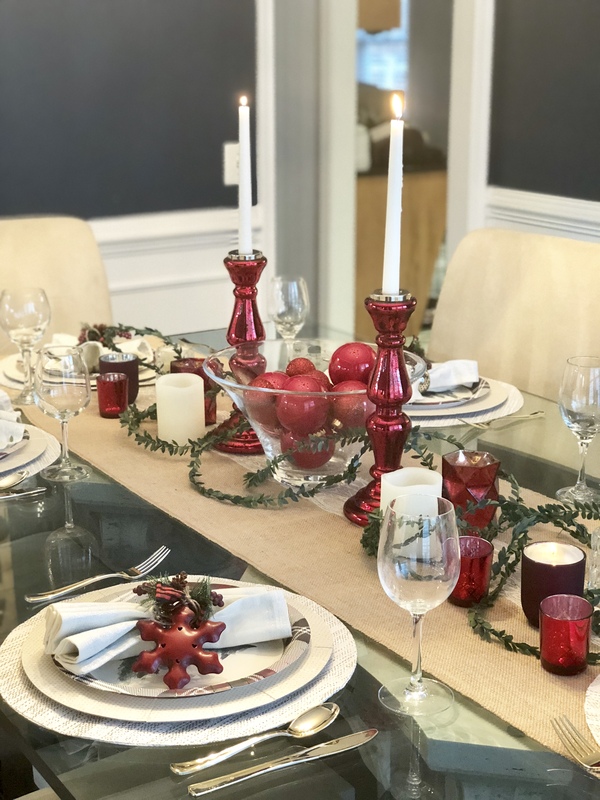 I still love using my regular dishes, but if you are hosting a big holiday dinner, this is a much easier way to go. 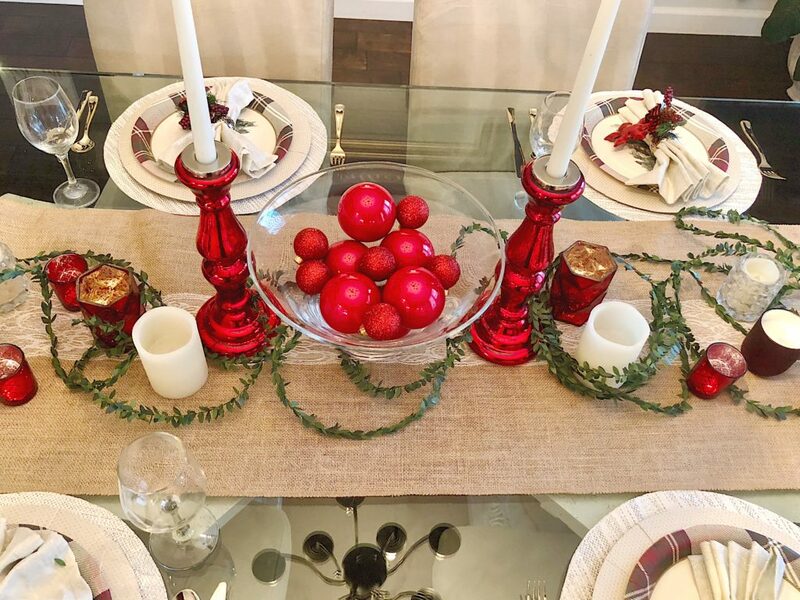 I went with red this year, and I love how vibrant the colors look! 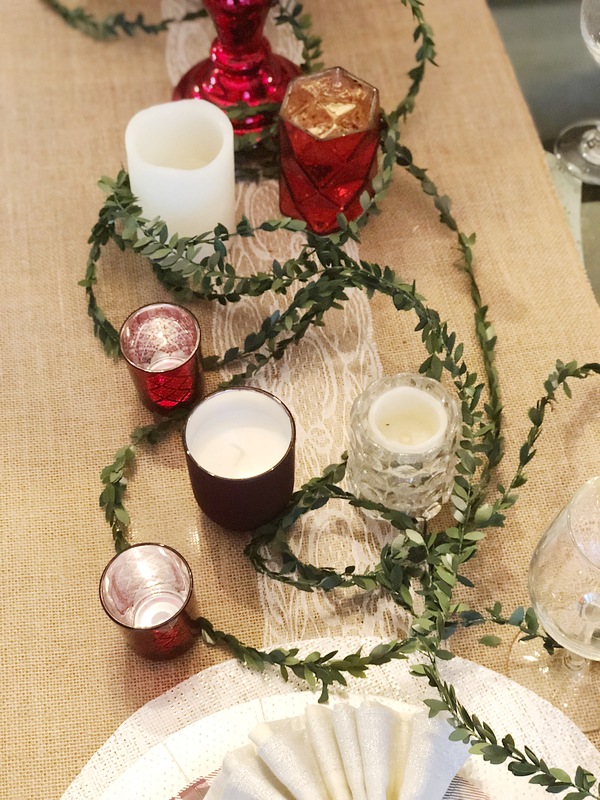 I used a burlap table runner, and added some red candle votive’s along with this thin garland that I got from the Target dollar section. 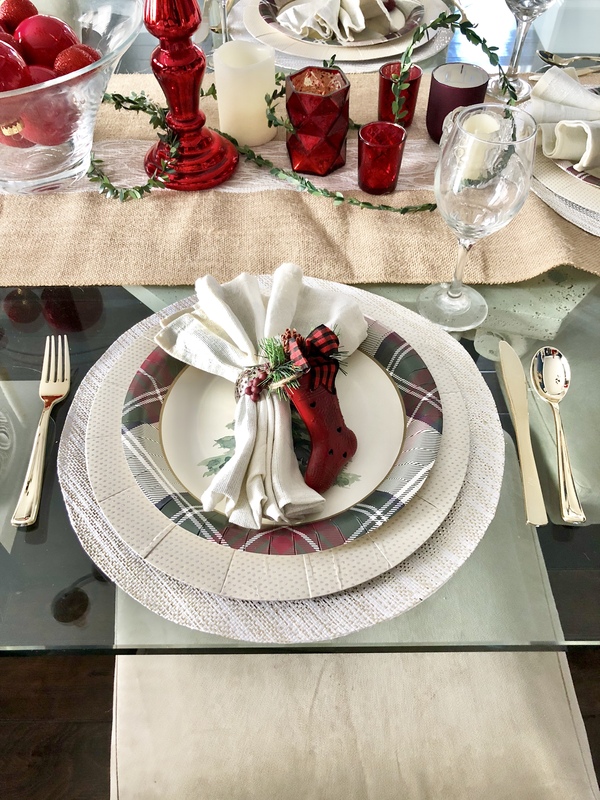 I will be creating another tablescape with my regular plates, but I hope you enjoyed, this easy, no fuss table setting!